Originally imported from Tibet, the introduction of the frame loom has enabled Bhutanese weavers to produce their own varieties of these woollen cloths made of narrow strips. Two popular designs are pictured here: narrow rainbow stripes (hothra), and another with wider bands embellished with red and yellow crosses (hothra jalo). 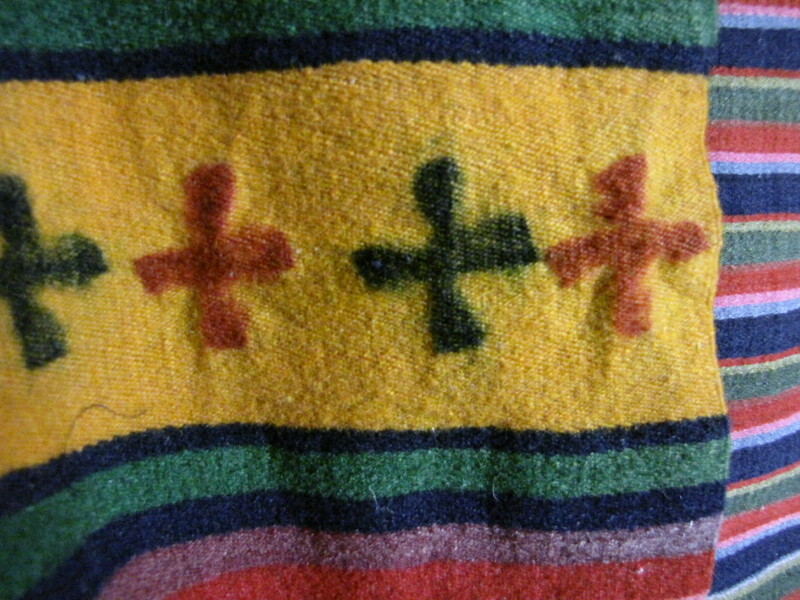 The close-up shows a new piece where creases around the crosses are still just visible. 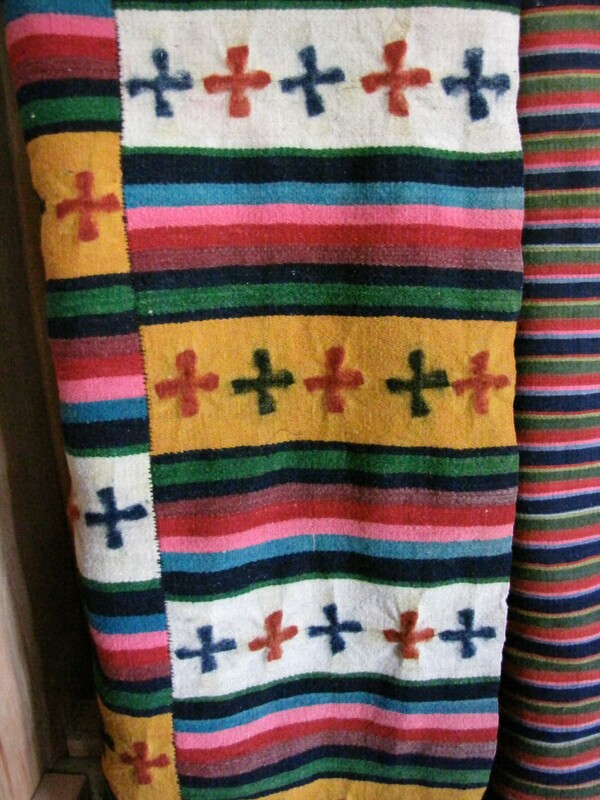 The few texts on Bhutanese textiles say these crosses are tie-dyed or stamped. 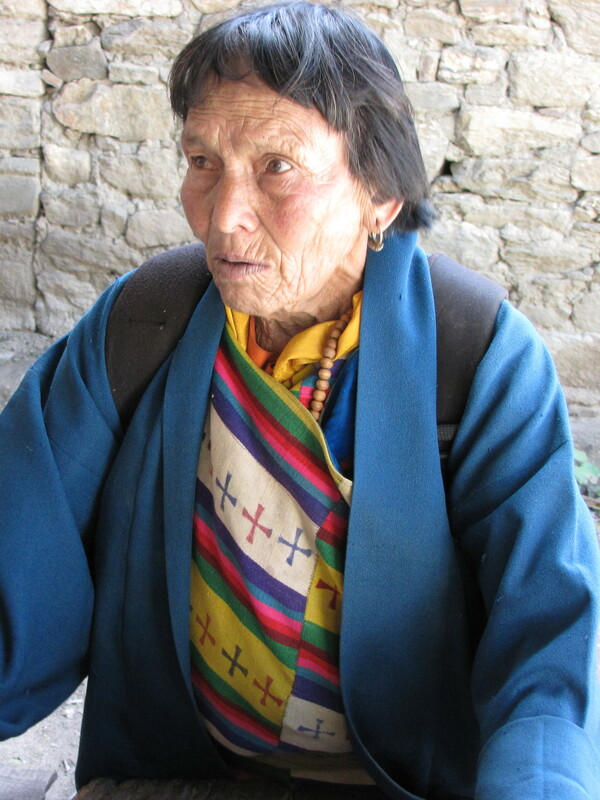 This entry was posted in Other Bhutanese Textiles and tagged Asian, Bhutan, hothra, Textile, Tibet by Wendy Garrity. Bookmark the permalink.